Sue Hammersmith, Lou Mezzina, Steve Clausen, Leah Larson, and Liz Clark are the general session speakers at the 2014 Higher Education Accounting Forum to be held April 27–29 in Minneapolis. This popular event offers the latest information on trends, issues, and best practices in financial accounting and reporting, and managerial analysis and leadership topics, for all types of institutions. Hammersmith, president, Metropolitan State University, St. Paul, Minnesota, will speak on the state of higher education. Mezzina, who is an audit partner based in KPMG’s New York office, and is KPMG’s national industry director for higher education and other nonprofit organizations, will highlight news stories about higher education and what business officers need to act upon. Steve Clausen, senior strategy consultant, and Leah Larson, senior consultant, Aon Hewitt’s health and benefits practice in Minneapolis, will discuss the Affordable Care Act and how it translates to higher education. Talking about the latest developments in Washington will be Clark, NACUBO’s director, congressional relations. In addition, the keynote session will be presented by Bruce Weinstein, the Ethics Guy, as part of the NACUBO leadership series. Other program topics address tax issues, pensions, responsibility center management, financial reporting and disclosures, international operations, compliance risk, health care, sustainability, analytics, and more. There will also be updates from Financial Accounting Standards Board staff and David Vaudt, the new chair of the Governmental Accounting Standards Board. Designed for advanced-level accounting and finance professionals, the event features plenary, concurrent breakout, and roundtable formats. Several facilitated roundtable sessions will focus on technical accounting and management topics and international operations—bringing participants with similar interests together to exchanges ideas and experiences. There will also be ample opportunity to interact with colleagues and speakers, including a welcome reception and a networking breakfast. What can college and university business officers expect from Washington lawmakers in 2014? 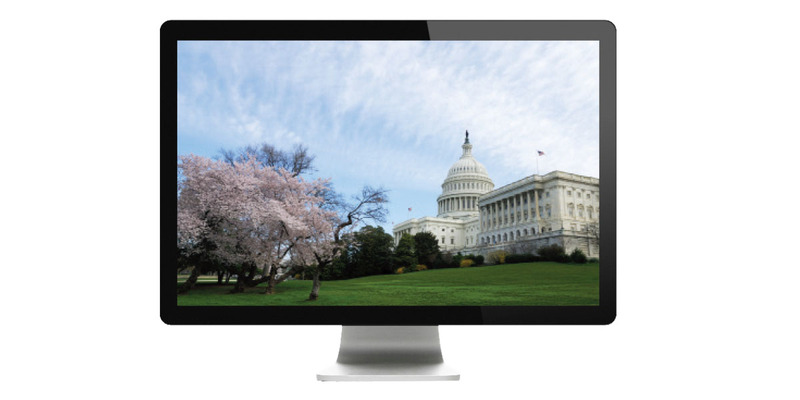 In a recent webcast, John Walda, NACUBO president and CEO, and Liz Clark, director, congressional relations, discussed the latest developments in Washington and the issues that are likely to be hot topics on Capitol Hill in the coming months. Walda and Clark provided a recap of the FY14 budget deal and outlined President Obama’s proposed ratings plan as well as his interest in college costs. Other areas that they touched upon included the outlook for comprehensive tax reform, a tax extenders deal, the reauthorization of the Higher Education Act, and other policies that impact college and university business operations. To access the archived webcast, visit www.nacubo.org and click on the Distance Learning tab. E-mail your questions to advocacy@nacubo.org. NACUBO has made it easier for you to receive comprehensive, up-to-date information on auditing and accounting and reporting through two online subscriptions. 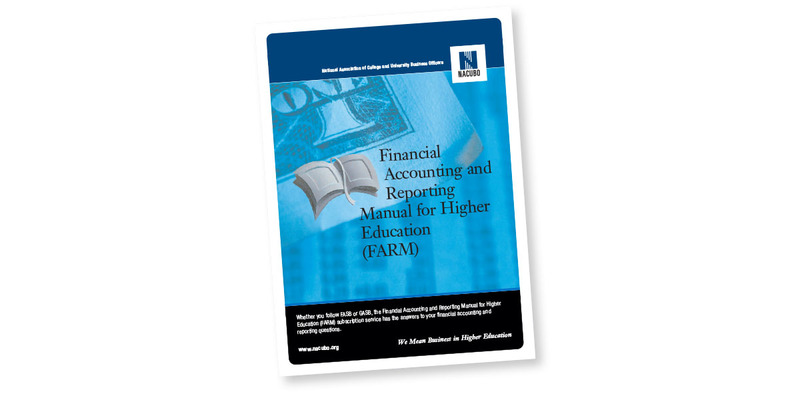 The Financial Accounting and Reporting Manual (FARM) contains articles that analyze authoritative guidance issued by both the Governmental Accounting Standards Board and the Financial Accounting Standards Board. Articles are augmented with industry conventions and examples of financial accounting and reporting for colleges and universities. The Federal Auditing and Information Service (FAIS) incorporates relevant federal regulations, Office of Management and Budget circulars, industry audit guidance, federal audit findings, and practical examples for public and independent colleges and universities subject to federal audit and research requirements. Both FARM and FAIS are available through your MyNACUBO profile. Benefits include online access, institutionally based price, an annual billing cycle, easy-to-navigate chapters and resources, monthly updates, and more. NACUBO recently formed a partnership with the Canadian Association of University Business Officers (CAUBO), allowing members of both associations to take advantage of member pricing for event registration and product purchases. NACUBO members wishing to participate in a CAUBO event or purchasing a CAUBO product can visit the CAUBO Web site (www.caubo.ca) and select “member price” after confirming their status as an employee of a NACUBO member institution. CAUBO members wishing to participate in a NACUBO program or purchasing a product should contact the CAUBO national office at alarabiechase@caubo.ca for the appropriate discount code. This agreement does not include subscriptions to either NACUBO’s Business Officer magazine or CAUBO’s magazine, University Manager. It also does not include access to electronic communications, online discussion groups, and communities. Institutions will need to maintain membership in the respective association in order to receive the full suite of member benefits and communications. For more information about this partnership, contact NACUBO member services at membership@nacubo.org or 202.861.2560, or contact CAUBO at alarabiechase@caubo.ca or 613.230.6760, ext. 340.